What’s the best way to think about creationists? What’s the best way for non-creationists to think about creationists? Some view them, unhelpfully, as inescapably anti-modern, utterly unwilling to face facts. This unwillingness is often supposed to be linked to religion itself, with religious belief understood as diametrically opposed to the scientific process. Science, we are told, is about facing facts, being open to correction, being willing to be wrong. Religion, we are sometimes told, is about none of those things. There are important and obvious distinctions to be made here: many religious people have no problem with modern science and have found ways to interpret their scriptures in complete non-contradiction with the empirical findings of biologists, geologists, and cosmologists. There is nothing necessarily contradictory about science and religion. And this leads to a second important distinction, which is that it’s really quite hard to figure out what “science” and “religion” actually are. Even specific subfields within science (physics for example, or chemistry) have boundaries that are much more porous than the versions we learn in high school. The same is true for religion: can an atheist be a Jew? Sure. Well then is that atheist religious? Well, maybe. It depends on your definition of religious, as well as your definition of religion as a category, and also how you might define specific “religions” as distinct from one another. Is religion ultimately about morality? Is it ultimately about transcendence? Is it beliefs or practices, tradition or experience? These all blend together and they parallel debates about science: is it about falsifying hypotheses or organizing information, the deductive search for what we can’t deny or the inductive search for what’s right so far? Yet creationists make this distinction a bit easier. In my fieldwork with creationist Evangelicals, I found people quite willing to say religion is about beliefs. This is, of course, a particularly Protestant way of viewing religion, which for too long has been assumed to be the basis of all religion, but that is a critique now longstanding in religious studies. The opposite is actually more likely to be the case: an emphasis on belief over practice (orthodoxy) is actually much less common on a global level than an emphasis on practice over belief (orthopraxy), even though both obviously bleed into each other. Yet such differences actually make creationist Evangelicals quite interesting. Unlike creationist Muslims or Jews, whose orthopraxy might make the issue of creationism (and its emphasis on right belief) less salient, a focus on right belief over right action makes Evangelical creationists in some ways the perfect foil for some secularist scientists looking to prove religion is not just ultimately about belief, but that it is ultimately about believing things that are scientifically wrong. What’s interesting about this argument is that it betrays the importation of a kind of Enlightenment scientism into an Evangelical way of reading scripture: both are rooted in an emphasis on knowing the right thing, even as they are undergirded by practices and habits which they are often unable to see (see Mark Noll’s excellent work on Evangelicals’ importing of Enlightenment ways of thinking, developing a literalist understanding of scripture far beyond what the founding Protestants would have envisioned). Now to know is not quite the same as to believe, of course, but the difference is not quite as clear as some might want it to be: what it means to “know” something is right, is, after all, one of the most important debates in the philosophy of science, not to mention a longstanding problem in theology. This common lineage in Enlightenment thinking means that both creationists and their scientistic foes can forget the importance of “doing” rather than “knowing.” So the more important question about creationists is often never raised: rather than asking what a secular society would like creationists to believe, why don’t we instead ask what we would like them to do? The answer to that question is probably something along the lines of accepting the scientific method and scientific consensus, especially on issues of real public concern. On this point, my research and the work of other scholars shows that creationists of many religions (Evangelicals included) tend to be quite pragmatic about science: they generally like science and what it has produced and more or less trust what it tells us about the world, barring a few Biblical exceptions. While what students learn about evolution in public schools is certainly of real concern, and a secular society should make every effort to ensure evolution is part of the public classroom, in my opinion efforts beyond this are a bridge too far. What creationists believe, even what they teach in their private schools and through homeschooling, is less important than what they do in public, especially regarding their votes and expressed opinions on critical public science issues like climate change, vaccinations, and environmental degradation. These are issues with much more significant stakes, and there is nothing necessarily anti-Biblical in agreeing with mainstream scientific consensus on any of them. Of course, nothing in contemporary biology makes sense without evolution: creationists often find clever ways around this, first by emphasizing microevolution over macroevolution to explain changes we can easily see, and second by emphasizing all-at-once, spontaneous creation rather than the actual millions of years through which biological diversity has developed. However, it’s important to recognize that these ad-hoc strategies really do work most of the time: a doctor doesn’t need to believe in macroevolution to fix an appendix; an engineer doesn’t need to know the age of the earth to gauge the weight-bearing capacity of a rock. It might well be the case that creationists believe things that are wrong, but the much more important question is whether they are doings things that are wrong. Of course, to believe is itself a kind of action, but it’s a more private action (and a much less problematic one) than how someone might vote or what they might advocate in conversation. Creationists are opposed to various elements of science, and if science is all-or-nothing then, sure, they don’t like science. But that’s not how creationists themselves think about their relationship to science, and it’s not how non-creationists should think about them either. The problem with telling creationists that they are completely anti-science is only partially that it’s not right. The bigger problem is that, after enough repetitions, they might become convinced it’s true. And then on really critical issues besides what a growing minority believe, we will have much bigger problems than we already have. 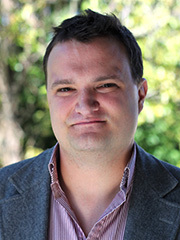 Jeffrey Guhin is the Abd El-Kader Post-Doctoral Fellow at the Institute for Advanced Studies in Culture at the University of Virginia. He starts his new job as an assistant professor of Sociology at UCLA in July, 2016. His first book, forthcoming from Oxford, is a comparative ethnography in four creationist high schools, two Sunni Muslim and two Evangelical Christian.